James Ernest Mangnall, the son of a joiner, was born in Bolton in 1866. He was educated at Bolton Grammar School where he played inside-right for the school football team. Later he was selected for Lancashire County. A keen supporter of Bolton Wanderers, he eventually became a director of the club. He also served as the club secretary but had little success and Bolton was relegated in the 1898-99 season. Mangnall now joined Burnley as their secretary/manager. Burnley were relegated in the 1899-1900 season. Mangnall's integrity was brought into question when Burnley's goalkeeper, Jack Hillman was found guilty of trying to bribe Nottingham Forest players to lose the last game of the season in order to avoid relegation into the Second Division. Hillman was found guilty and banned for a year. At the end of the 1902-03 season James West and Harry Stafford of Manchester United were suspended by the Football Association for making illegal payments to players. Mangnall, who had failed to get Burnley promoted to the First Division, was appointed as United's new manager. This decision shocked the fans as he had achieved little success at his former clubs. Nor did he have a reputation for getting his teams to play good football. As the authors of The Essential History of Manchester United pointed out: "Mangnall... preached a gospel of physical fitness and team spirit while maintaining that players should be given a ball only once a week". 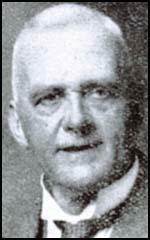 John Henry Davies, the new owner of Manchester United, was a rich businessman and was willing to provide Mangnall with the funds to build a good team. Magnall made several new signings. Probably the most significant was Charlie Roberts, who cost a record transfer fee of £600. Other important signings included Charlie Sagar, George Wall, John Peddie, John Picken, Thomas Blackstock and Alec Bell. The Football Association now carried out an investigation into the financial activities of Manchester City. They discovered that City had been making additional payments to all their players. Tom Maley was suspended from football for life and City was fined £250. Seventeen players were fined and suspended until January 1907. City was also forced to sell their players and at an auction at the Queen's Hotel in Manchester. Ernest Mangnal signed the outstandingly gifted, Billy Meredith for only £500. Mangnal also purchased three other talented members of the City side, Herbert Burgess, Sandy Turnbull and Jimmy Bannister. 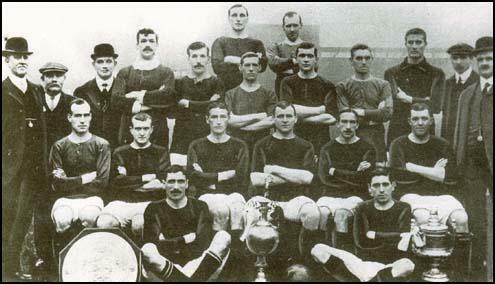 The 1908 championship-winning side. Ernest Mangnall is on the far right of the picture. In April 1911 Enoch West was involved in an incident at Aston Villa. As a result he was suspended for the first four matches of the 1911-12 season. Despite missing these games he was once again leading scorer with 23 goals in 38 cup and league games. However, his fellow strikers were disappointing and Manchester United finished in only 13th position. In August 1912, Ernest Mangnall decided to move to Manchester City. During his nine years at the club, Mangnal had completely transformed the fortunes of the club. He was replaced by John J. Bentley, the former president of the Football League. Manchester City had a good start to the 1912-13 season and won every game in September. The Daily Dispatch reported that it was "nine years have passed since Manchester City commenced a campaign in this stimulating style." However, City could not maintain this pace and by the end of the season they finished 6th, two points behind Manchester United. City finished 15th in 1913-14 and 5th in 1914-15. The Football League resumed after the First World War in the 1919-20 season. Mangnall made the surprising decision to buy the 46 year old Billy Meredith from Manchester United. That year City finished in 7th place. Mangnall did even better in the 1920-21 season with only Burnley achieving more league points. In 1923 Mangnall arranged for Manchester City to move to Maine Road. 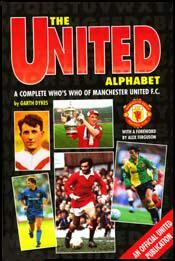 It was popular with the fans and over 76,000 people watched City play Cardiff in the 4th Round of the FA Cup. City won the game but was defeated by Newcastle United in the semi-final. At the end of the season it was decided not to renew Mangnall's contract. Ernest Mangnall died of a cerebral embolism on 13th January 1932.